According to me, our college helps me in finding the talent in me. I got to know my area of interest. I got good faculties who help me. I got good friends. 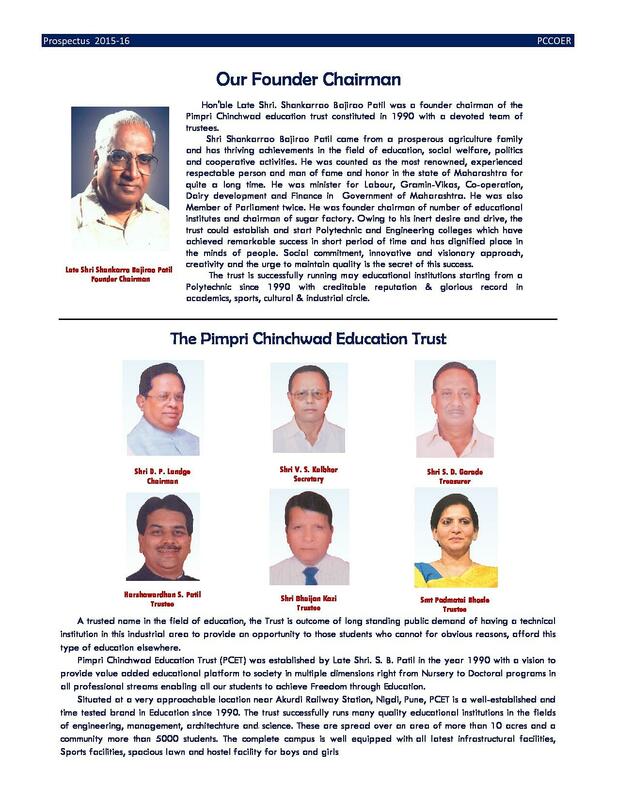 The only negative remark could be the strict behaviour of management towards the students but that could also be a good one as that is the reason we are continuously growing. In terms of academic, I'd give excellent remark, in placements average to good, in hostel management excellent, in mess food worst. Best college from learning and career point of view. 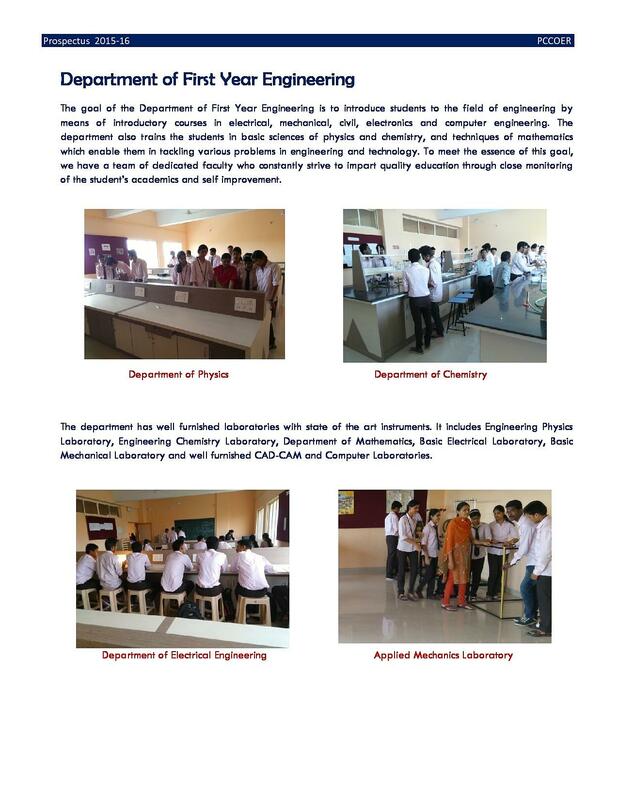 This college is known for its best faculty, placements and best learning. Campus placements are 100% for CS/IT students but it needs to be improve for mechanical branch students. I like everything of this college. 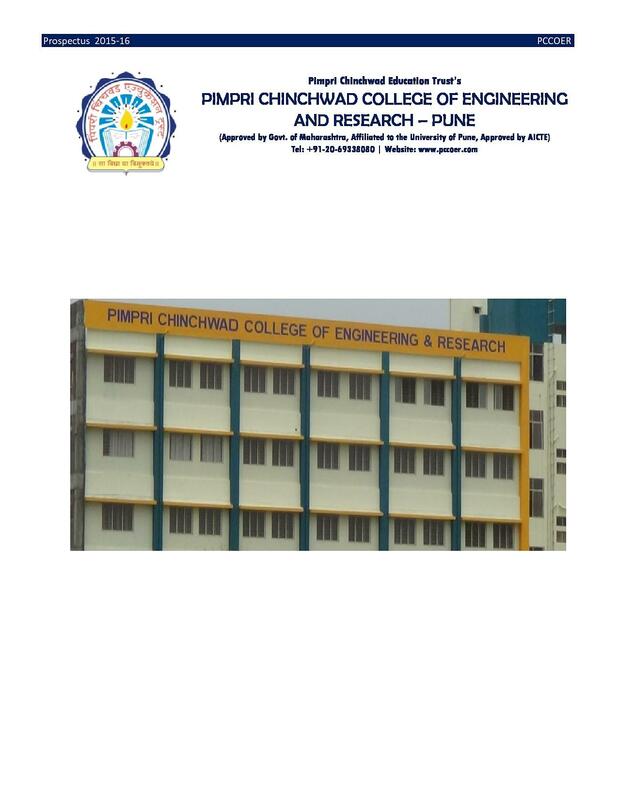 hello , my ward appearing XII PCM, Also applied for MHCET, GATE and other entrance exams, from FIITJEE class Chinchwad , I want to know the admission process for BE Automobile / Mechanical branch at your PCCOE college so that I can proceed further and contact to your office for further details. Hello Aaditya, You may please contact to the college for getting the Admission detail and further you may please visit to the college. HI, Wanted to know about the admission process for the ME2017 for ENTC fields . And is it possible to take admission in the ME if i dont have eligible score in GATE2017 ?and what will be the process for that Thank you. Hi Akshay, please contact on 020-69338080, to get relevant information. The faculty is very good. This college teacher can compete with COEP college teachers in terms of teaching. Faculty is regular, disciplined, and has problem solving skills. College also conducts a feedback method every month every year, in which students can complain about any teacher about his/her teaching methods, punctuality, etc without revealing his identity. 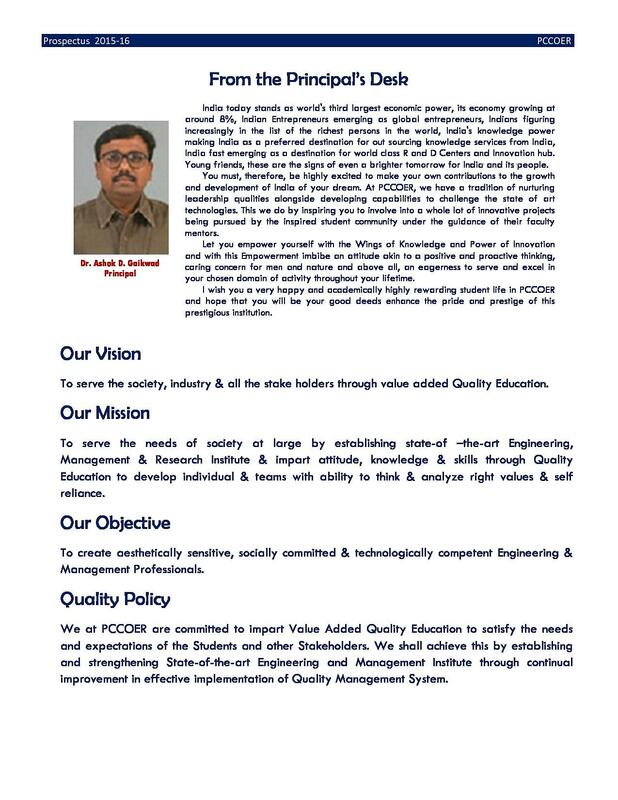 "Best college from learning and career point of view." Actually for getting admission in engineering, there are two ways, after HSC or after diploma. I have done diploma and my diploma marks was considered for direct second year engineering admission. No additional exam, no interviews taken. 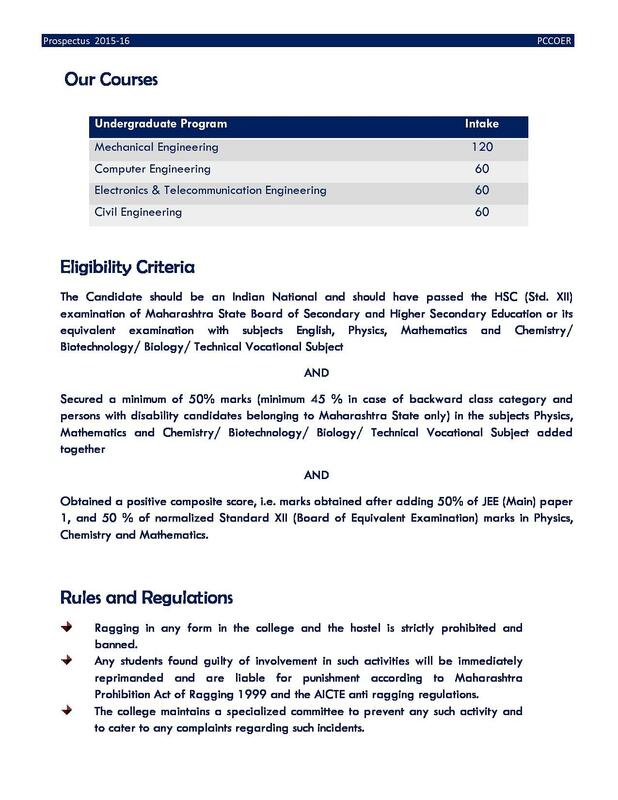 If you take admission after HSC, then MHT-CET or JEE, are the entrance exams but no interview process. I like machine work, hence I choose mechanical engineering.